Welcome to the Saint Mary's College Education Department CAEP web site. 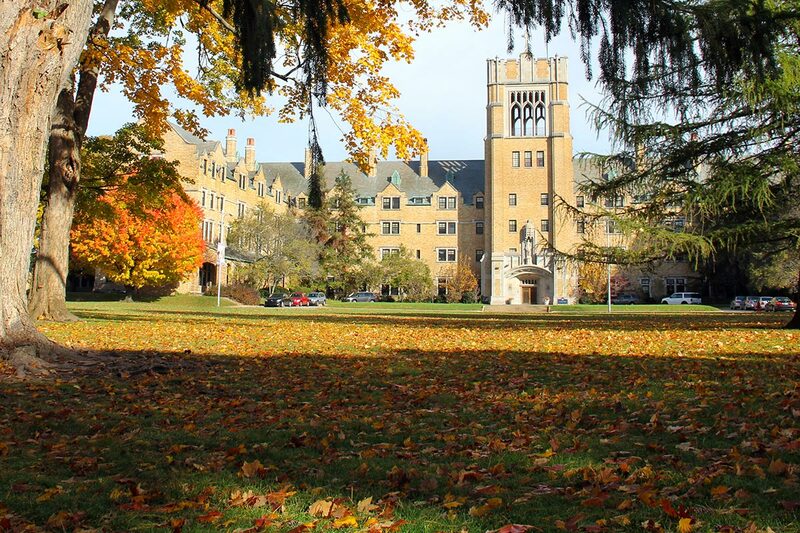 This website will present the accreditiation status of the Professional Education Unit at Saint Mary’s College, Notre Dame, Indiana. CAEP’s mission is to advance excellence in educator preparation through evidence-based accreditation that assures quality and supports continuous improvement. Launched in 2013, CAEP works with more than 900 educator preparation providers currently participating in its accreditation system. CAEP serves all providers previously accredited by or currently seeking accreditation from the National Council for Accreditation of Teacher Education (NCATE) and the Teacher Education Accreditation Council (TEAC). In addition, CAEP serves providers not previously accredited by NCATE or TEAC. The scope of CAEP’s work is the accreditation of U.S. and international educator preparation programs at the certification/licensure, bachelor’s, master’s, post-baccalaureate, and doctoral levels. CAEP seeks to increase the value of accreditation and to increase participation by providers in the accreditation system. It builds on the decades of institutional knowledge of the sector’s previous accreditors, the National Council for Accreditation of Teacher Education (NCATE), founded in 1954, and the Teacher Education Accreditation Council (TEAC), founded in 1997, which agreed to form CAEP to advance the field of educator preparation. The U.S. Department of Education (ED) and the Council for Higher Education Accreditation (CHEA) currently recognize both NCATE and TEAC. CHEA also recognizes CAEP. The unit's assessment system reflects the Educational Department's conceptual framework as well as alignment to Indiana. It is also aligned with InTASC professional standards as well as standards put forth by Specialized Professional Associations (SPAs). The system is shared with College faculty through the Teacher Education Council and with its school partners through the Cooperative Council. The system includes comprehensive and integrated assessment and evaluation measures to monitor candidate performance as well as to manage and improve the unit's operations and programs. Decisions about candidate perfomance are based on multiple assessments at decision points in both the Elementary and Secondary Education programs--admission to programs, at appropriate transition points, at program completion, and after graduation. The unit has taken effective steps to eliminate bias in assessments and is working continuously to establish the fairness, accuracy, and consistency of its procedures and unit operations. It has worked closely with the Office of Institutional Research & Assessment to address this issue. The links at the left of this page will take you to each site. Professional Education Unit describes who we are. It contains information about the programs, the unit faculty, and the unit organization. maintain evidence of effective clinical preparation that incorporates partnerships with P- 12 schools and districts. ensure the selection of capable and diverse candidates and assures stakeholders of candiate quality. encourage innovation in our programs. maintain evidence of completers positive impact on P-12 student learning and development. embrace data-driven continuous improvement in decision-making and program development. Candidate Performance Data displays state licensure test results for those who have completed the program. Also included in this section are the eight (8) outcome and impact measures that are systematically monitored by CAEP. Conceptual Framework presents the foundational ideas and research that guide the unit.